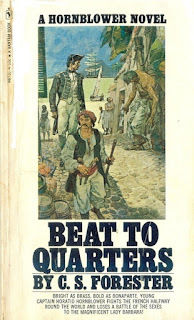 For five blood-soaked chapters of C.S.Forester's debut Horatio Hornblower novel, The Happy Return (1935) (Beat to Quarters in the US) the British frigate Lydia battles the Natividad, an old Spanish ship-of-the-line crewed by Nicaraguan rebels. 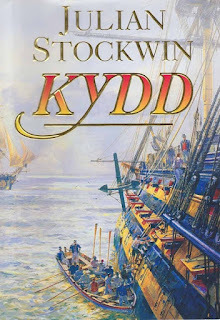 For all of author Forester's tremendous success at recreating the wooden world of King George's navy during the Napoleonic Wars, it's that battle, as presided over by the brooding Hornblower, that got me. It's tense as hell and never once do you assume Hornblower, his crew, and his ship, are going to get out of it alive. "For what we are about to receive--," said Bush, repeating the hackneyed old blasphemy quoted in every ship awaiting a broadside. Seconds seemed as long as minutes as the two ships neared. They were passing within a dozen yards of each other. Bow overlapped bow, foremast passed foremast and then foremast passed mainmast. Rayner was looking aft, and as soon as he saw that the aftermost gun bore on the target he shouted the order to fire. The Lydia lifted to the recoil of the guns, ears were split with the sound of the discharge, and then, even before the gale had time to blow away the smoke, came the Nativdad's crashing reply. It seemed to Hornblower as if the heavens were falling round him. The wind of a shot made him reel; he found at his feet a palpitating red mass which represented half the starboard side carronade's crew, and then with a thunderous crackling the mizzen mast gave way beside him. The Happy Return begins with an espionage mission against Spain's Central American colonies. 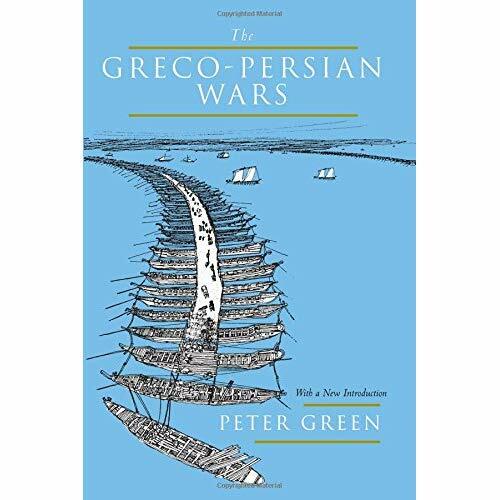 Hornblower has been sent to deliver arms and ammunition to a mad Nicaraguan rebel - and eliminate a much heavier, if antiquated, Spanish warship patrolling the eastern Pacific. His success against the enemy vessel leads to its capture and being handed over to the rebels. When Spain suddenly becomes England's ally, the state of affairs in the New World change drastically and that's when Hornblower and the 36-gun Lydia find themselves forced to fight the 50-gun Natividad once again, this time crewed not by dispirited colonial sailors, but by the same rebels they've just supplied, driven men with a competent captain. Hornblower, on the surface, is a steely, determined commander. He paces the deck each morning, meticulously planning out the ship's and the crew's day. Of course, there's much more going on than it appears. Inside, he's constantly playing out the various outcomes of his mission and what the implications could be for his career. 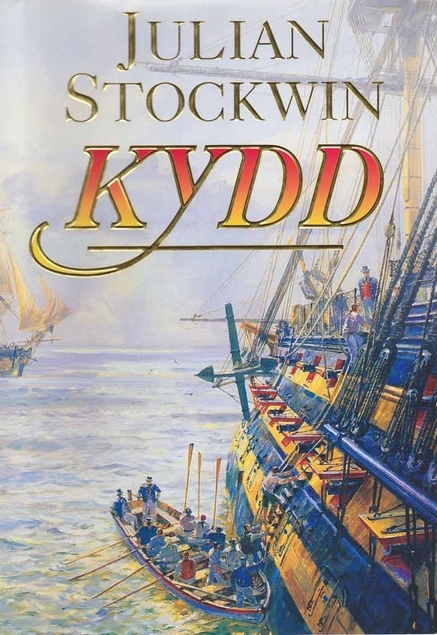 A commander of a minor ship, his fortunes can ebb and rise seemingly at the caprices of the vast and distant bureaucracy that directs the Royal Navy. Back in the main cabin Hornblower stretched himself on the locker below the stern window and once more unfolded his secret Admiralty orders. He had read them so often that he almost knew them by heart, but it was prudent to make certain that he understood every word of them. They were comprehensive enough, in all conscience. Some Admiralty clerk had given his imagination loose rein in the wording of them. Hornblower's physically uneasy with much of the harsh discipline and blood common to naval warfare of the time. Still, he forces himself to rise up to the demands of his position, and it's in those times that the character of Hornblower shines. He actually is the superior commander everyone assumes he is all the time, but the reader has suspected he mightn't be. He's able to smother his worries and revulsion and bring his considerable tactical and command talents to bear and perform with cold and deadly brilliance. There's also romance. When Spain becomes England's ally, Hornblower's able to revictual his ship in Panama. There he picks up Lady Barbara, the sister of Sir Arthur Wellesley. A married man, his gradual attachment to, and eventually falling in love with her is practically an existential crisis for the reserved captain. Of course it's made easier for Hornblower; his marriage is loveless, the result of a spur of the moment decision when he first shipped out. It's a bit of cheat on Forester's part, but when Hornblower and Lady Barbara are separated at the book's end, it's clearly not forever. Too often adventure story romances fall flat, but that's not the case here. The Happy Return is a roaring adventure with a great, brilliant hero, tempered with self-doubt and admirable rectitude. You can smell the ocean and feel the Lydia swaying upon it. The cries of the wounded and maimed echo between the roar of the frigate's broadsides. 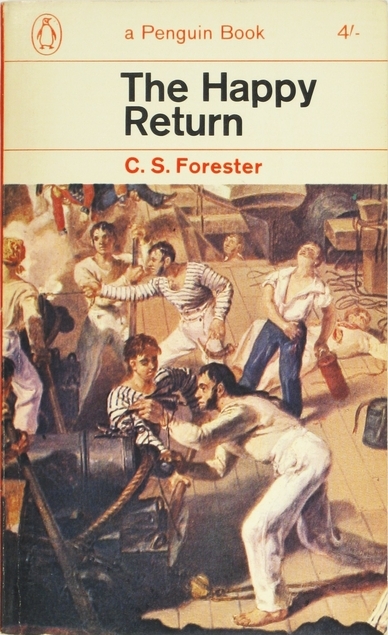 Forester's storytelling is gripping and his portrayal of the shipboard life and combat feels true. 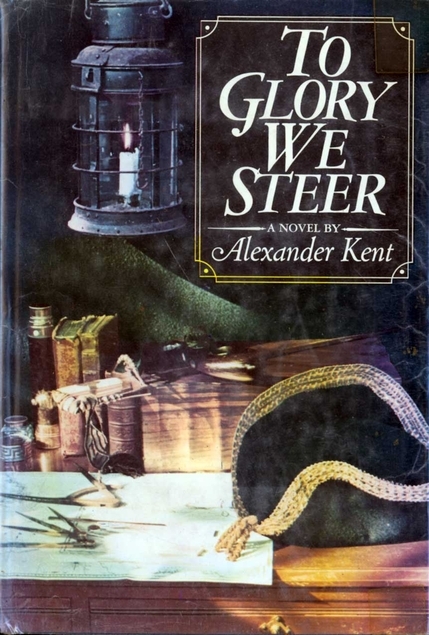 It is exactly what I'm looking for from this sort of historical fiction - rousing adventure, detailed recreation of the period, and a hero worth following. Once again, I'm angry and excited about discovering what looks to be a terrific series - angry that it's taken me so many years to finally start it and excited that I have a whole new bunch of books to read. While I'm going to take several detours before returning to Hornblower's adventures, I'm hoping to read the next two books, A Ship of the Line (1938) and Flying Colours (1938), sooner rather than later. They're a closely linked trilogy, really a single longer work, and I don't want to forget anything. My father was a fan of nautical adventures. He read C.S. 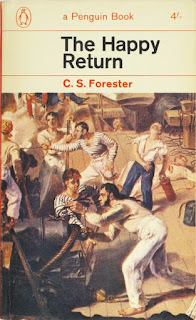 Forester's Horatio Hornblower as a boy and later he read much Alexander Kent's Richard Bolitho series and then Patrick O'Brian's Aubrey & Maturin series. For whatever reason I got it into my head last year to read the first published book in each series. 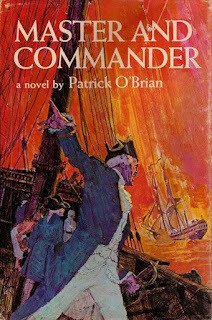 He liked the Hornblower books best (which is why I decided to start there), while he found some of O'Brian's books too talky for his tastes. Since I've heard the latter described as Forester meets Jane Austen, his qualms actually made them sound fine by me (if you haven't read anything by Austen you owe yourself the delightful pleasure of her company as soon as possible). Someday I'll do a post about my dad's taste in reading vs. my own (I've come to suspect in a lot of respects his regard for bad books was much higher than my own), but not now. As I started doing a little research on Forester, O'Brian, and Kent, I discovered there are a huge number of authors of nautical adventures I've never even heard of. To this day, there are shelf loads of new books being written. If you doubt me, just check out the author list on the very cool Old Salt site. Some look really, really fun. 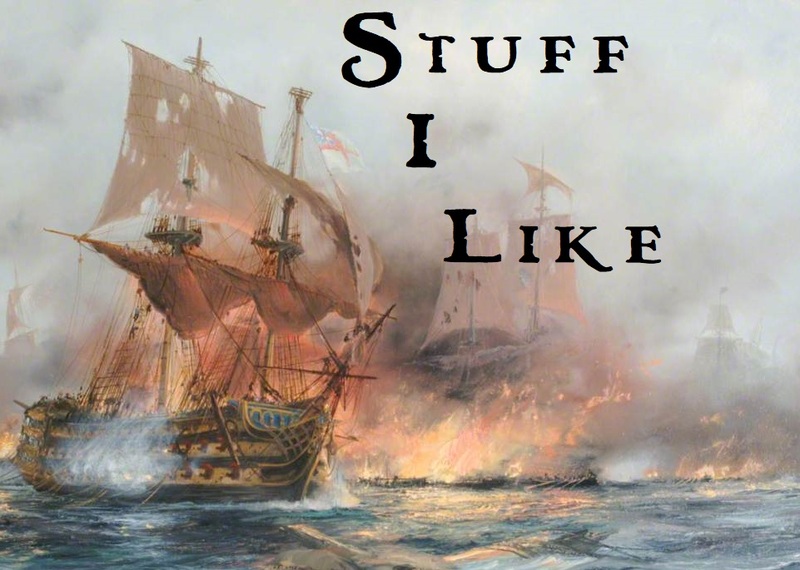 I definitely want to check out James L. Nelson's short series about Isaac Biddlecomb, an American captain in the Revolution and Julian Stockwin's Kydd series about the rise of an impressed seaman through the ranks of the Royal Navy. 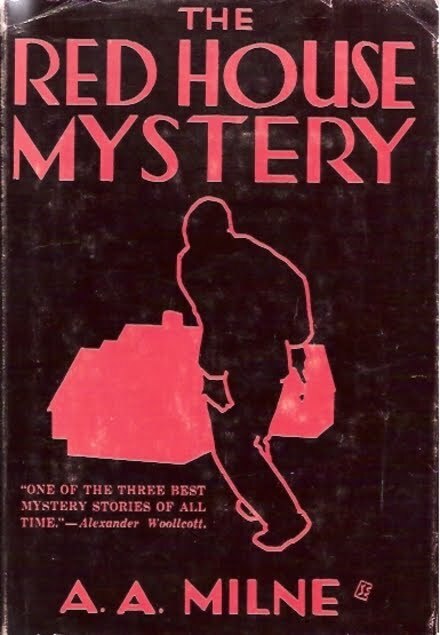 Yeah, based on single book, I'm approaching this whole thing with my usual abundance of enthusiasm, but The Happy Return was just so much fun.
" I'm angry and excited about discovering what looks to be a terrific series - angry that it's taken me so many years to finally start it and excited that I have a whole new bunch of books to read. " I feel the same way about the books you Americans grew up on, especially Harold Lamb and Edmond Hamilton! Lamb's another one I missed out on until later in life. As to Welch, they look fun and as a NYer, I definitely want to check out Mohawk Valley. I'm making my way through the Aubrey and Maturin novels for the second time. Consider them like a warm bath: the point isn't to get quickly clean; it is to enjoy the immersion for as long as possible. I'm really looking forward to getting to Master and Commander and getting the whole ball rolling. I prefer Forester to O'Brien. The Aubrey /Maturin books are pretty good. But Hornblower, man, that guy is awesome. A&E had a miniseries and then a two-part movie series on Hornblower back in the 90's, starring Ioan Gruffudd (Mister Fantastic from the 2005 Fantastic Four). 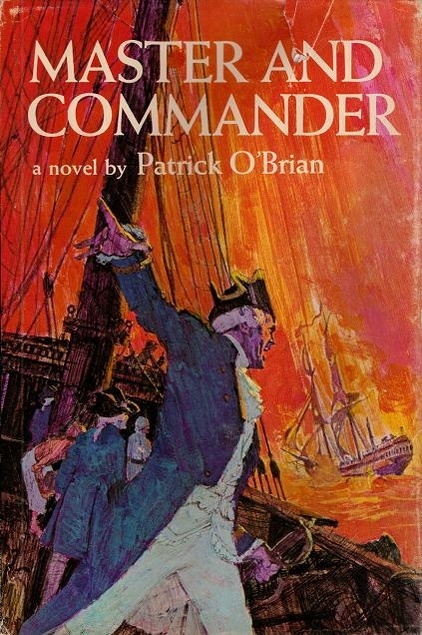 The mini-series was based on the first chronological book Mister Midshipman Hornblower, which ws actually four short story/novellas. Each movie was based on one of the four stories. They were surprisingly good. But this was back when A&E was a good station, before Reality TV metastasized. 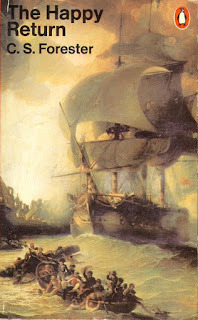 Also recommended, if you like Hornblower, is Bernard Cornwell's Sharpe series. Like Hornblower of the British Army in India and the, later, the Peninsular Wars. Sharpe works under Sir Arthur Wellesly for the most part, and claws his way up the ranks. But he is a more ruthless character than Hornblower. I was always tempted by the Gruffud's series, but wanted to read the stories first. Now I've started. I remember watching a bunch of the Sharpe's tv shows with Sean Bean and sort of liking them. For a bit of humor in your naval adventures, I recommend "Doctor Dogbody's Leg" by James Norman Hall of "Mutiny On the Bounty" fame. Doctor Dogbody relates in a series of increasingly imaginative tales how he lost his leg. Throw it onto your TBR pile if there's room. Cool, thanks. I'll track that down. 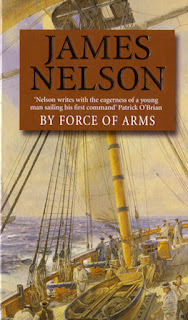 It seems as if every man's father is a nautical fiction enthusiast. My own dad was particularly keen on the Bolitho series, but did concede that it went on a few volumes too many. Another series for you to consider is Dudley Pope's Ramage sequence. That's a nice thought, and I'd love to believe it's true. I just picked up a used copy of the second Ramage book.